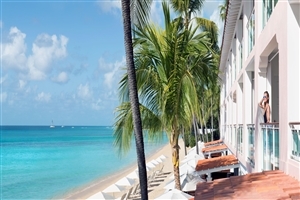 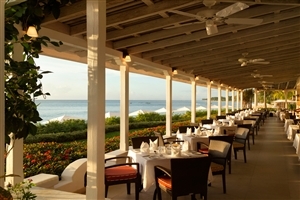 One of Barbados’ most revered luxury resorts, Fairmont Royal Pavilion offers tempting five-star refinement in a splendid Caribbean setting. 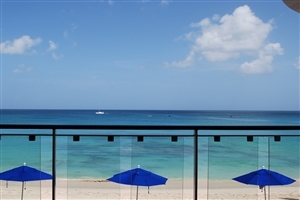 Admire the stunning views of the white sands and crystalline Caribbean Sea from your upgraded guestroom, before sitting down to a carefully prepared meal in one of the excellent restaurants. 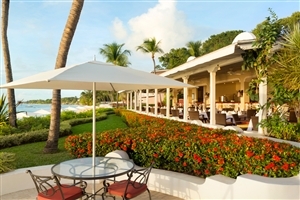 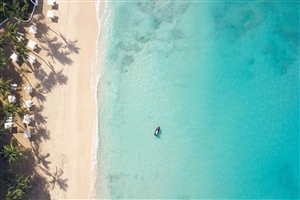 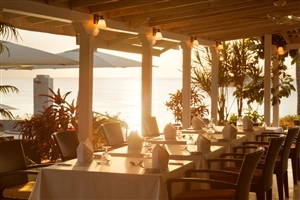 Fairmont Royal Pavilion features two tempting restaurants, an indulgent spa and complimentary non-motorised watersport equipment, including kayaks and snorkelling gear. 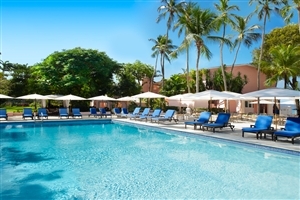 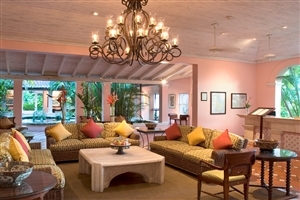 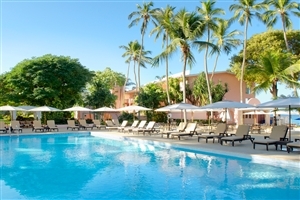 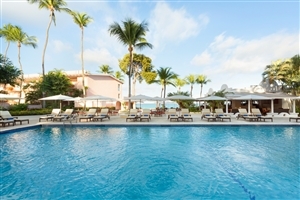 Fairmont Royal Pavilion is located just 8 miles from the charming Barbados capital city Bridgetown and 20mins from the international airport. 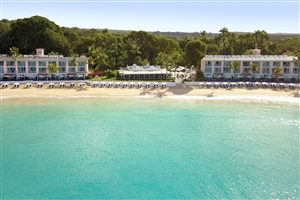 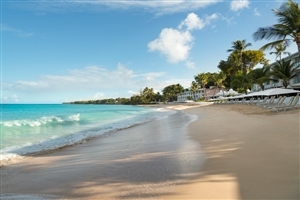 Indulge in excellence with a stay at Fairmont Royal Pavilion, a luxury five-star Caribbean holiday resort on Barbados’ stunning platinum coastline. 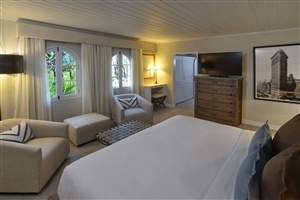 Following a thorough renovation programme, Fairmont Royal Pavilion proudly offers an exquisite blend of traditional, English-colonial themes and upgraded contemporary touches for an unforgettable hospitality experience. 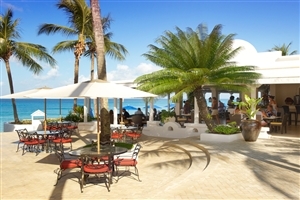 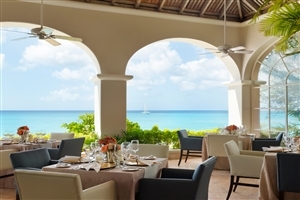 Overlooking the sparkling Caribbean Sea from its excellent beachside location, Fairmont Royal Pavilion offers refined, upgraded accommodation, excellent dining options and impressive facilities, including a lavish spa and a swimming pool. 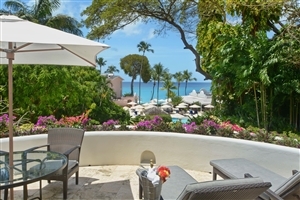 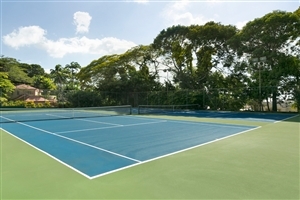 Fairmont Royal Pavilion is located 20 miles from the airport and is 8 miles from Barbados’ charming capital city Bridgetown. 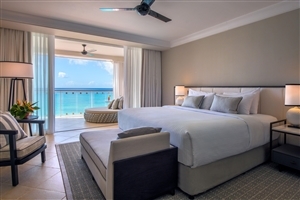 The Oceanfront Deluxe rooms at Fairmont Royal Pavilion offer 46sqm of accommodation space and offer a spacious balcony area to enjoy spectacular ocean views. 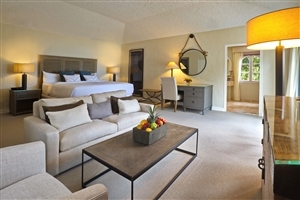 The Deluxe rooms feature a king-size bed. 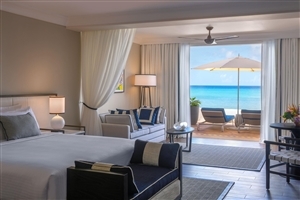 The Beachfront Junior Suite at Fairmont Royal Pavilion offers 60sqm of accommodation space, plus an outdoor living area with direct access to the beach. 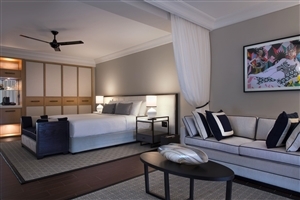 Guests will also receive personalised service, including an airport fast-track through immigration, a dedicated butler and daily in-room amenities. 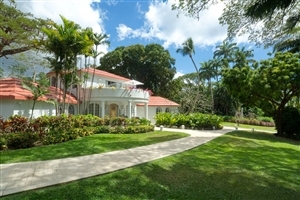 The Three Bedroom Villa at Fairmont Royal Pavilion offer 169sqm of accommodation space that sets the tone for what is sure to be a truly remarkable stay, boasting palatial amounts of space, elegant style and enough privacy to ensure a memorable experience surrounded by beauty on all sides. 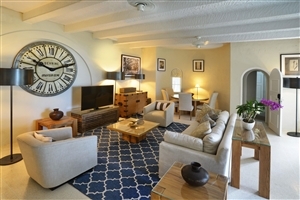 Featuring a living area, a dining space, a private terrace and located less than 100 metres from the beach, this is one amazing haven that wont soon be forgotten. 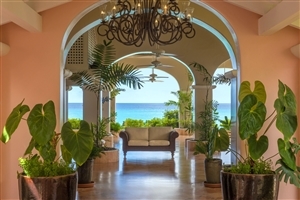 This expansive, stand-alone, three-bedroom villa can now be booked as a one-bedroom Signature Sea View Room, two-bedroom villa or a three-bedroom villa.